The pekingese is usually known as the peke this dog breed was first bred in china over 2000 years ago as a preferential and respected pet. This breed was measured as a guardian spirit by Chinese because they looked like a Chinese lion. This breed is a small and a very good looking balanced breed, they show dignity and bravery befitting their Chinese origin. They are Fearless and protective, this breed is only breed that expects and demands to be a pampered companion in your life. This dog breed is lovely sensitive and extremely lovable, when they choose to be they likely to have a one master and want to be one person pet, they are also known as a very good watch dog while they alert their family to any unusual noise. 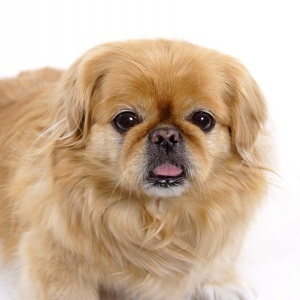 The Pekingese dog breed are good with older and well mannered children. Basically they do not like to be with other unknown pets that they are not accustomed to. This breed of dogs has a double coat, the outer coat is extravagant long and straight following with profuse feathering while the under coat is soft and plush in texture, this breed has a majority of their exercise indoor and are very happy to be indoors. They really enjoys short walks for a few minutes of the day they do well in small apartments. As far as their grooming is concerned they require daily brushing to prevent dead hair, their face and eyes should be cleaned on regular basis with a soft cloth, they do not like warm damp climates. Just like other dog breeds the Peke is prone to some dog diseases and health problems, these include breathing problems, eye problems, herniated disc, and dislocated kneecaps. Special care must be given to not overfeed as they gain weight easily. Keeping your pet healthy is your responsibility so give it a good environment and look after its health and you will have a great companion to be with you.